of Lawn Turf Equipment & Irrigation Products. 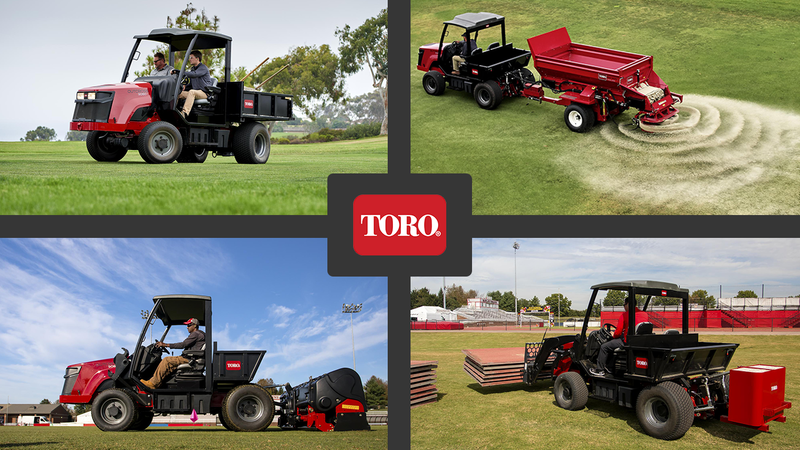 Toro helps customers care for golf courses, sports fields, public green spaces, commercial and residential properties, and agricultural fields. Scag Power Equipment has manufactured “Simply the Best” commercial riding, stand-on and walk-behind lawn mowers money can buy. The Ultimate in Leaf and Debris Management. Wright was the first, and continues to be the most advanced, stand-on mowing technology available. RedMax offers commercial outdoor power equipment for the lawn care professional. RedMax zero-turn mowers are tough and tenacious. Whether you’re a new landscaper or a seasoned veteran, you’ll fall in love with the features and dependability of these commercial cutting machines. BlueBird is your complete source of turf care equipment for the landscaping and rental industry. At Classen, we make serious lawn care easy. Midwest Turf is currently hiring. We offer hourly pay based on experience and ability, and excellent employee benefits. Click on the “Learn More” button and explore our current job opportunities. The Outcross 9060’s unique electronically controlled four-wheel steer and four-wheel drive system provide turf friendliness and maneuverability. Each wheel turns and spins independently for gentle turning and superior traction. Outcross’s balanced design removes the need for front counterweights, making it significantly more delicate on fine turf than an agricultural tractor. Set-up and save the parameters for each attachment – one time, upfront – to ensure the machine performs exactly to your specifications. Store settings for up to sixteen attachments for easy use and consistent performance, no matter the skill level of the operator in the seat. The Outcross 9060 will always be on the move. With 3-point, drawbar, cargo bed and loader capabilities, the opportunities to maximize this investment are near endless. The Outcross 9060 does the work of multiple machines in one compact package. Put your investment to work every day and receive consistency, efficiency, and reliability in return. Leonard Johnson and his wife Patt acquired Omaha-based Midwest Turf & Irrigation (formerly Midwest Toro) in the fall of 1980. Leonard, a former Director of Sales and Marketing of The Toro Company, left Toro in 1976 to purchase the Denver-based Barteldes Seed Company changing its name to L. L. Johnson Distributing. These two distributorships then combined under the corporate name of Pattlen Enterprises. In 2005, Leonard’s son James purchased Pattlen Enterprises. While the two businesses operate from different locations they, and their employees, share the same dedication to superior sales and service for their vendors and customers.